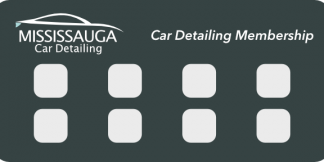 View cart “Mississauga Car Detailing Membership” has been added to your cart. The Mississauga Car Detailing Membership is here! Use the card up to eight times on any passenger vehicles. See our full detailing membership offer page for more details. Available for cars, SUVs, and minivans. Click here to learn more about our detailing membership card.